Team building activities bring employees together by promoting collaboration, creativity, and teamwork. Constructive and fun activities that help your workforce bond and mingle with each other in a different light enable them to connect and collaborate in a different environment and a better perspective. Team building with your employees promotes communication, inspires creativity, builds trust, lessens conflict, and improves collaboration. The most powerful incentives for team building involve getting a positive outcome for your employees and the company. 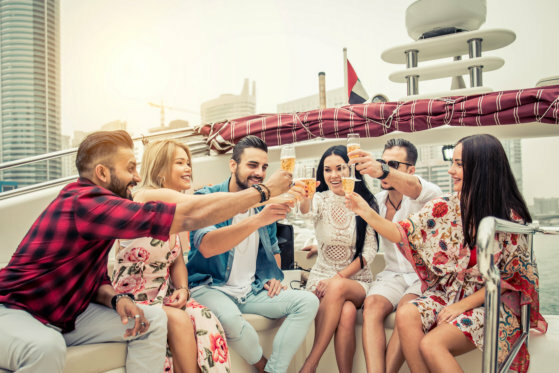 These team building ideas that help facilitate long-term relationship within the company are best realized in the most unique and calming set up like our party boat in California. Our boats are designed to accommodate team building programs with safe activities and cooperative skill-building experiences. With our yacht charter in California, all of these experiences are inclusive of a fine selection of food and beverage prepared onboard by our talented chefs and staff. This entry was posted in Teambuilding Activities and tagged onboard activities, positive outcome, special events. Bookmark the permalink.